Smoky Tentacles was born ten years ago as the original shisha lounge on the festival circuit. Our café and stage is now known as one of the best festival spaces in the business. We also hire stunning Moroccan marquees for weddings, events and private parties through our sister company Fancy Tentacles. Our team has a background in the arts, set construction and the underground party scene. 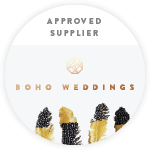 Not only are we a highlight at all the summer’s top festivals, we are also available to design and deliver your own perfect party or wedding. Housed in one of our exclusive Moroccan marquees Smoky Tentacles is a beautiful and unique chill-out lounge and café, the perfect place for the festival-goer to relax with friends until the small hours. Think comfy rugs, cushions and low slung tables, ambient lighting, oil projections, great tunes and vibes to create one of the most popular spaces on the festival scene. We serve a staple of fifteen flavours of shisha in traditional Egyptian hookah pipes, delicious fairly traded teas and coffees from around the globe, freshly made chai, organic soft drinks, amazing breakfasts, gourmet toasties and lush cakes. We can be found at all the biggest and best parties on the festival circuit and have run our own stage to rave reviews at the Beatherder Festival for the last five years. We'll take you on a musical journey from fresh singer songwriters and acoustic acts through to the best up and coming live reggae, ska, jazz, hip-hop and funk bands that this country has to offer. With our ear firmly to the ground, our music policy provides the soundtrack to the summer. Each one of our tents is unique to us and is sourced directly from our master marquee maker: a supplier of the top riads in and around Marrakech. With the Moroccan royal family on his CV of clients, these tents are of the highest order and synonymous with quality both in looks and manufacture. Our tents have been used backstage for VIP rooms, press tents, crew chill-out spaces and to house arts workshops at festivals as diverse and far flung as Rocket in the south of Spain, The Electric Picnic (Ireland), Secret Garden Party and Out There in Great Yarmouth, Norfolk. With stunning Moroccan marquees at our disposal, ten years experience in festivals and events, our own stage and strong links to the set building industry and some fantastic caterers, we’re experts in bringing together all the components that create an amazing party. With our bespoke events packages we can now bring the festival vibes directly to you. Tailor-make your own wedding, private bash or mini festival! From licensed bar, shisha lounge, sound system and professional engineer to DJ’s, live bands, performers, fire dancers or authentic North African cuisine, our fingers are in all the right pies! Just contact us to discuss your plans. Together we can ensure that you host a party unlike any other that you or your guests have ever been to.